Make Election Day A Federal Holiday! Too many people aren't voting because of work or school conflicts. That needs to change. The United States of America was founded on the fundamental principal, summed up by Abraham Lincoln in the Gettysburg Address , that the government was to be "of the people, by the people, for the people," and that exists and is preserved solely in the individual's right to vote. As a democratic republic, citizens have both the right and the duty cast their vote for leaders, laws, and principles. According to Pew Research Center, however, less than 56 percent of the "voting-age population cast ballots in the 2016 presidential election ." That is not a new problem either. In the 2014 midterm election, only 36 percent of the voting-age population voted. Various reasons are cited in each election for not voting, from not liking the candidates to forgetting altogether, but one of the most consistent reasons given each election is that voting conflicts with work or school. In 2014 alone, 35 percent of registered voters said conflicts with work or school were the reason they did not vote . Every eligible citizen of voting age should have unrestricted access to cast their vote in elections, and especially in national elections. Making Election Tuesday a federal holiday would allow everyone to be free of work and school conflicts and give them access to the polls. Of the 10 current federal holidays , seven of them are celebrations of our country in one form or another. 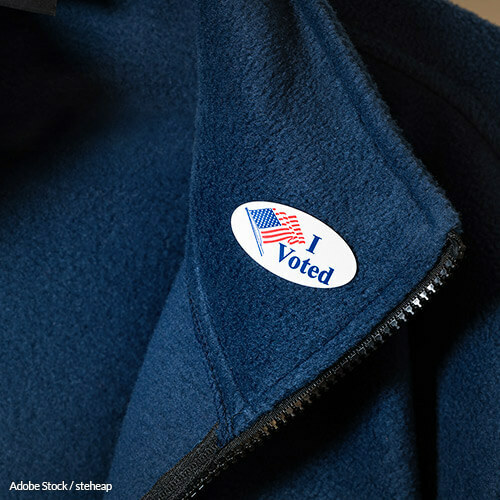 Adding Election Tuesday to the list of federal holidays would follow in that tradition. In fact, what could be more of a celebration of America itself than the celebration of the right to vote? It is the core principle of our freedom and liberty. America is supposed to be the shining example of freedom and democracy in the world. Why, then, do we have an election process that is making it difficult for people to get to the polls? How can we make people choose between voting and working? Sadly, there are too many people who simply cannot afford to give up a day's wages in exchange for voting. The right to vote, without the ability to vote, is meaningless. No one should have any obstacle standing between them and a ballot box. Registered voters certainly should not be disenfranchised because they are working or in school. By making Election Tuesday a federal holiday, a large percentage of registered voters would finally be able to cast their vote in national elections. Sign the petition asking the President to make Election Day a Federal Holiday to ensure all eligible Americans are able to cast their vote! The right of the citizen to vote is the cornerstone of our great nation. Some of the greatest accomplishments of the past century have been the rightful expansion of the ability to vote, namely Women's Suffrage and the Civil Right Act. Nevertheless, there is still an obstacle standing between many registered voters and the ballot box: the inconvenience of Election Tuesday. Every election cycle there is a segment of registered voters who do not vote because of work or school conflicts with the timing of the election. They are being disenfranchised simply because they are being productive members of society. However, there is an easy solution to this problem: make Election Tuesday a federal holiday. Of the 10 federal holidays we currently have in the United States, at least seven are a direct celebration of the country itself, from commemorating the founding of our great nation on the Fourth of July, honoring those who served in the military on Veterans Day and Memorial Day, to celebrating the civil rights movement on Martin Luther King Day. Celebrating our right to vote would be just as fitting and patriotic as our other federal holidays, and it would also serve to making voting more accessible for all. While it is true that many citizens of voting age choose not to vote in elections for a number of reasons, there should not be a segment of registered voters who cannot vote because of work, school, or other timing conflicts. According to U.S. Census data, the primary reason people give for not voting in elections is because they were "too busy/couldn't get time off to vote." The United States has come so far in the last century to ensure that everyone has the right to vote in America. Now we need to finally make sure that everyone has the ability to vote. Mr. President, please take action to make Election Tuesday a federal holiday before the next election cycle begins. Help ensure that all citizens have not only the right to vote but also unfettered access to participate in our great democracy. That's 1,997 signatures! Let's keep the ball rolling.